Now by far one of the most common issues that I see as a Chiropractor is neck pain/dysfunction/stiffness whatever you may want to call it. It’s super uncomfortable to have Chronic (lasting longer than 6 weeks) neck issues as you use it for pretty much everything. Everyone has probably had an episode where by their neck muscles feel very “tight” and leads to them getting headaches/migraines. If this is you, you need to read on. Our neck has a natural curve we call cervical lordosis (a reverse C curve) and we want to maintain that. Why? Let’s look at this image below. Can you see all those ligaments behind the vertebrae? Not listed here are muscles which we have A LOT of behind our neck. Now imagine over time when your neck loses this curve and starts to straighten (right image). Can you visualise how all these ligaments and muscles are going to have increased tension due to poor structure? What can cause the neck to curve the other way? With our daily habits of looking at our phones, sitting in front of our desks at the computer, and generally just sitting in a ‘hunched’ posture throughout our daily lives has put our necks under a lot more pressure. If you are one of the people who constantly get massages and never seem to be getting results, this may be your reason. Tight muscles are a SYMPTOM of something underlying. Finding the CAUSE is what we do. A recent study shows that the average person only spends 1 hour and 15 minutes of their day not in a seated position. Is it any wonder therefore that we are seeing an ever increasing number of injuries simply due to poor posture and poor core stability. 1. Your body is not designed for sitting, let alone sitting for most of the day. The pelvis was never evolved to disperse weight in a seated posture. 2. Your body will adapt to any situation which is most common – whether this is beneficial or not. 3. Prolonged sitting and poor posture is the primary cause of spinal degeneration and overuse injuries. For this blog, I’m going to give you a couple of simple tips on how to get more movement during your day and simple ways to keep your skeleton aligned and functional. 1. If you use public transport, get off a stop earlier. Most people are on a rushed schedule in the morning but you just have to make a little time to get a whole lot more movement. 2. Incidental movement is the new ‘in’ term. It is for a reason though so increase the amount of little patches of movement you get through day. Walk around the office more, get drinks of water, get up and talk to people, use stairs where you can. These little bits of movement really add up when done often enough. 3. If you do Yoga already, add on one extra class a week. If you don’t do yoga, START!! Yoga is the simplest way to exercise the body in the opposing way to what sitting does. It increases your core strength and stretches your upper body in extension. 4. Stretch every day. We brush our teeth daily, but what about our spine? Straighten up Australia is a Chiropractic 3 min exercise initiative to improve your spinal health and the way your body functions. 5. Get adjusted by your Chiropractor regularly. Inevitably with sitting you will load certain parts of your spine which will often get stuck, causing pain or no pain but always causing dysfunction. Getting your spine adjusted by a chiropractor ensures correct spinal movement and counteracts sitting. 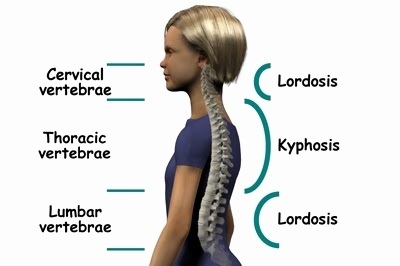 Our spine and nervous system governs all functions and organs, and lack of movement and spinal misalignments cause dysfunction and therefore ill health. If you haven’t had your spine checked, call us now for your initial consultation at Complete City Health. How Important is My Sleeping Position? You literally sleep nearly a third of your life, so the position you sleep in will directly affect how you feel when you wake up and your physical health. Sleeping positions can affect your general posture and alignment as you expose your body and spine to different twisted or bending positions for a prolonged time, leading to tightness and stiffness when you wake up. Many people suffer from headaches, neck and back pain, shoulder and hip problems all from poor sleeping habits and positions. Sleeping on your stomach affects your neck and puts it in a compromising, unnatural position for hours leading to neck pain and headaches. The twisting that also occurs through the rest of your spine leads to back pain. Sleeping on your side, even though probably the second best position to sleep in, can cause shoulder and hip problems. The best way to train yourself to sleep is on your back with a nice comfortable pillow. Sleeping on your back means your body is in a natural anatomical position and does not have increased strains or tension on any part of the body. It does however take a lot of will power and effort over time to train yourself to sleep on your back, especially if that is not what you are used to. 4. Get rid of games that keep you on your phone for hours without realizing it. with minimal use of the phone. 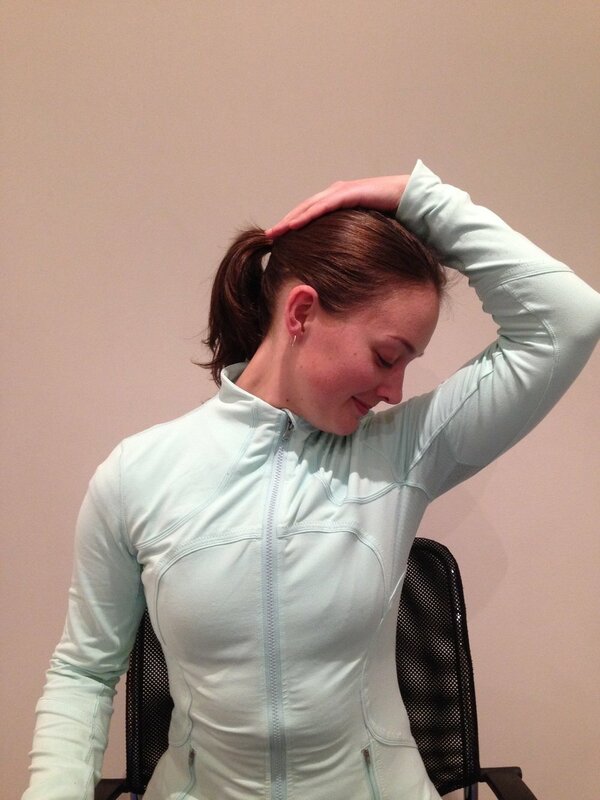 These stretches can be done daily to help relieve the overused neck muscles. Heel Spurs? Heel Pain? Plantar Fasciitis? A study conducted in Australia showed that 66 percent of people included in the study suffered from foot pain. One of the most common areas of the foot to suffer pain is the heel. I am sure that you are familiar with the term Plantar Fasciitis? Most of us have all had a friend, family member or colleague suffer from this condition. Heel spurs are rarely the causes of heel pain but allow Podiatrists to understand a little bit more about how your foot functions. When something pulls on bone, the bone will grow. This is exactly what is happening in the case of a heel spur. This new growth of bone rarely causes pain but we can see that there abnormal forces going through your feet! The plantar fascia is a thickened band of connective tissue that runs along the bottom of the foot, starting at the heel bone and heading towards the toes. When we see Itis after a word it means inflammation. So Plantar Fasciitis means inflammation of the Plantar Fascia. How do we treat Plantar Fasciitis? The key for treating plantar fasciitis is determining the cause and fixing the root problem. This is why you can hear varying stories from friends/family/colleagues about their Plantar Fasciitis treatment. Everyone’s treatment plan can be significantly different. The key is early treatment! Plantar Fasciitis becomes more difficult to treat the longer you have the condition. The good news is that with our individually tailored treatment plans you will be seeing significant results quite quickly. Here are a few things that you can implement today to increase your work health environment without a budget. BY DR. DEBRA VILLAR, CHIROPRACTOR & DIRECTOR OF COMPLETE CITY HEALTH. 8 Easy Tips To Implement Sugar-Free September. Here at Complete City Health we are doing “Sugar-Free” September to help rejuvenate our bodies ready for Spring & Summer. Here’s 8 easy starter tips. BY KRISTEN SOPER, CLINICAL NUTRITIONIST. Throw Away Your Flip Flops! A great infographic about the dangers flip-flops pose to foot health. BY MO ALI, PODIATRIST. Is Your Digestive Health Affecting Your Mood? I see more and more people presenting in clinic with a combination of digestive complaints such as bloating, constipation or diarrhoea coupled with feelings of stress, anxiety or feeling flat - does this sound familiar? BY KRISTEN SOPER, CLINICAL NUTRITIONIST.